What’s the best way to handle sales rejection? I don’t know about you, but I’ve hated it from the day I got into selling. 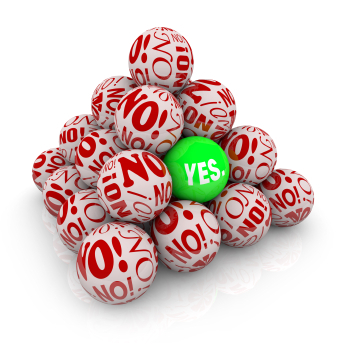 Some sales gurus say you need to embrace it because each “No” gets you closer to a “Yes.” Others tell you that it’s not personal – and you need to toughen up. Neither of those approaches worked for me. But I’d like share what did. I reframed sales rejection entirely. In my mind it became market research – no more and no less. When people wouldn’t meet with me, it was simply data. And, when I analyzed it, I could see that there were many factors that could have caused this reaction. Now, instead of bumming me out, I was challenged. I had a puzzle to solve. I was searching for the most effective way to get that meeting set up. Seriously. Your brain finds a challenge irresistible. You have the power to reframe sales rejection - or any obstacle you encounter - into a new challenge to solve. And when you do that, you’re unstoppable.